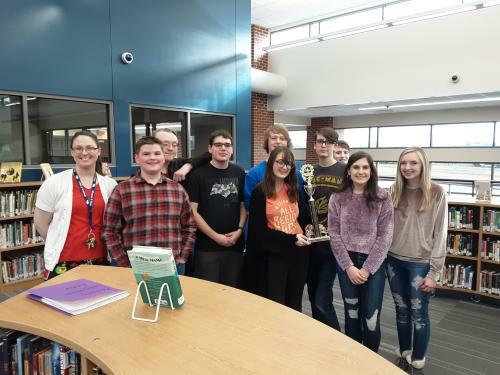 GJHS Quiz Bowl Team Wins 1st Place! 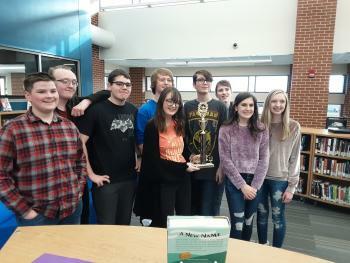 Greenbrier Junior High School hosted the 5A Regional Quiz Bowl Tournament on Saturday, Feb. 2nd. The GJHS Team won 1st Place! Luke Allison was also selected as an “All-Star” player and was invited to the All-Star Tournament in March. On top of going undefeated, these students put in some extra work before and after the tournament helping set up and take down buzzer sets, rearranging classrooms, and helping make sure the tournament ran as smoothly as possible. The Quiz Bowl Team has started preparing for the State Tournament! Congrats, Team!